Mona Hart Tucker, ACP, of Daingerfield, Texas, answers my Thirteen Questions this week. 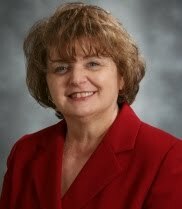 She is an Advanced Certified Paralegal employed by Nix, Patterson & Roach, LLP. in Daingerfield, a city approximately 120 miles northeast of Dallas. She she specializes in Civil Litigation. Mona is the immediate Past President of the Northeast Texas Association of Paralegals (NTAP) and the current editor of the association's newsletter, Key Note. She's also a former Director of the Paralegal Division of the State Bar of Texas. You'll enjoy reading Mona's profile, particularly her opinion regarding hot trends in the industry. 1. Where do you work and what is your job title? I am an Advanced Certified Paralegal with Nix, Patterson & Roach, LLP . 2. What prompted you to choose a paralegal career? I found the law very intriguing, and love being around and conversing with intelligent, educated people. 5. How has your membership benefited you? Networks, networks, networks! 6. Do you have any professional certifications? Certified Paralegal, then Advanced Certified Paralegal...both through the National Association of Legal Assistants. 8. What do you see as hot trends in the paralegal industry? I see paralegals moving away from clerical work and more into the actual work that attorneys have traditionally done. I know that's part of the definition of a paralegal, but in actuality, it hasn't always worked out that way. 9. Have you dipped your toes in the social media waters? If not, do you see that in your future? I'm on LinkedIn and I have a blog. I signed up with Facebook in order to see some pictures my brother had posted there, but I've rarely looked at it since then. 10. If someone contemplating a paralegal career asked you for career advice, what would your answer be? Join one or more paralegal groups. The networking is invaluable. 11. Is there a quote that inspires you? My own: Never let 'em see you cry. 12. You've enjoyed a successful paralegal career. To what single event or person do you attribute that success? I can't name a single person because there were two, both former employers: LeRoy LaSalle (now deceased), who worked with my schedule and encouraged me to go back and finish my college education; and T.G. Davis, who paid my expenses and encouraged me to go for my paralegal certification. 13. What is the most important step a paralegal can take to keep his or her career interesting? Don't limit yourself to one area of law. Take CLE courses, read pertinent articles, interact with other paralegals.